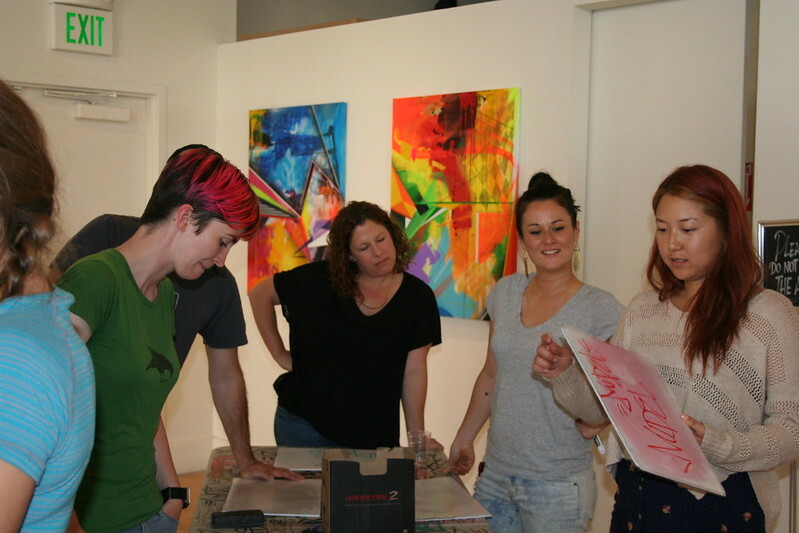 The team from Heroku that stopped by the gallery to try their hands (and fingers) at spray painting for their team-building workshop with us took no time in getting comfortable with covering the gallery’s walls. Choosing to paint their mural on the exterior wall we provided rather than on canvas, they were treated to a peak inside the world of graffiti writers as they were able experience tagging on city streets, only they didn’t have to worry about the police this time. They chose the word “Herokai” for their mural and as we expected, it turned out super fresh! 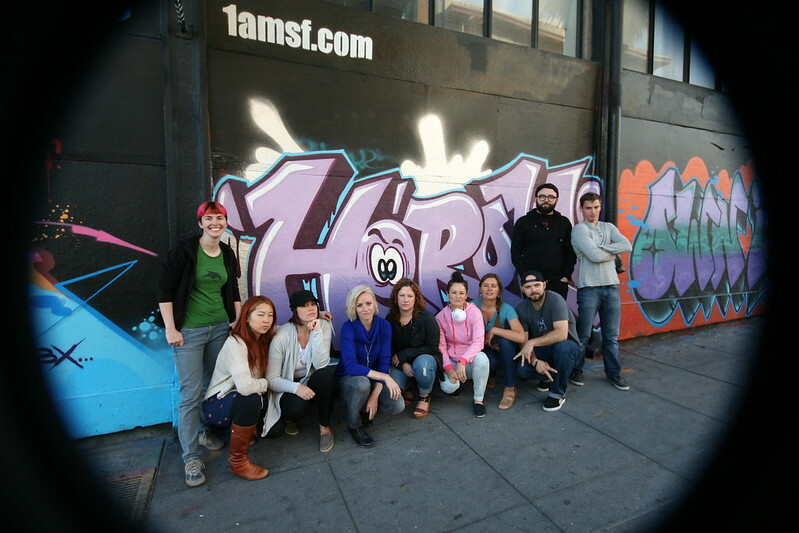 Contact us via email at privateevents@1amsf.com to get spray cans in the hands of your team! « Indiegogo brings the whole company for 1AM blowout!